View More In Transmission & Parts. 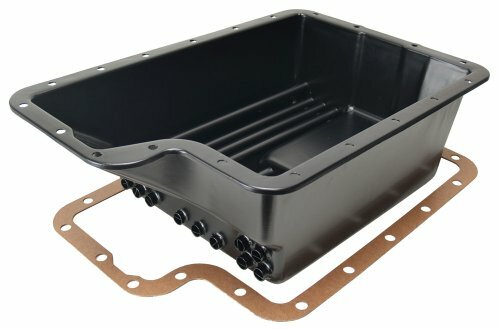 Derale has been making quality transmission cooling pans for over 25 years, this new Ford pan has been redesigned to fit more applications then previous designs and will now fit the late model 5R110 and 5R110W transmissions. We also added a much stronger magnetic drain plug and rubber/steel reusable washer and an 1/8 inch NPT temperature sender bung located in the side of the pan. To top it off it will be finished with a durable black two stage coating. Kit comes complete with neoprene gasket, magnetic drain plug, and 1/8 inch NPT temperature sender plug. If you have any questions about this product by Derale, contact us by completing and submitting the form below. If you are looking for a specif part number, please include it with your message.